Posted March 9, 2016, in News. When Donald Trump retweeted a quotation attributed to him but actually uttered by Italian dictator Benito Mussolini – “It is better to live one day as a lion than 100 years as a sheep” – it was a victory for Gawker, which had set up the automated Twitter account to poke fun at the Republican front-runner. It was also perfect fodder for a new digital politics program at Rutgers-Camden, which melds political science with digital studies. “The digital is not incidental to the conversation; it is core to the conversation,” said Jim Brown, the English professor who heads the Digital Studies Center at Rutgers-Camden. The university’s digital politics certificate will be launched in the fall, with required core courses in digital studies and political science, a set of modified political science electives that include digital components, and a capstone project. It will be jointly run by the Digital Studies Center and Rutgers-Camden’s political science department. Mark Baker, 20, of Cherry Hill, plans to pursue the certificate because of his interest in how digital media have made news and information more accessible. “Media and Internet really transform how we look at politics. 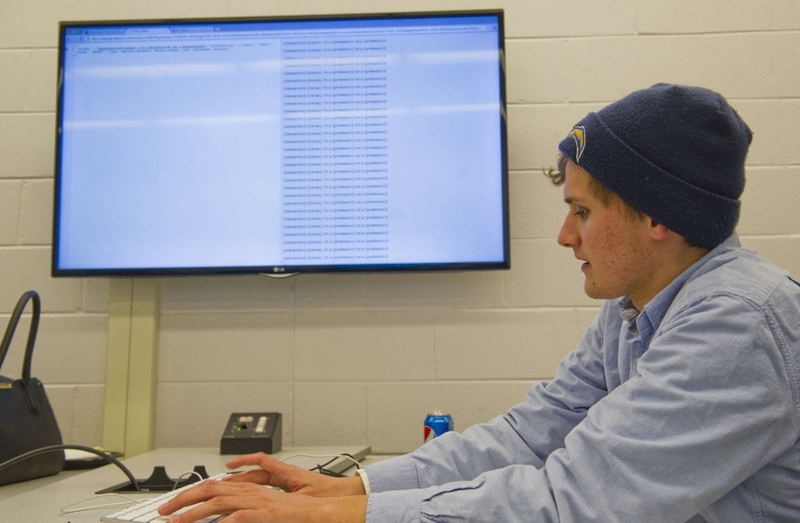 We access news and other information from social media, news outlets, and that’s the way we go nowadays, so it’s just interesting to observe that sort of outlet for where we’re getting that information,” said Baker, a political science and philosophy major who is taking the introductory digital studies course. He’ll be a senior in the fall. Read more at philly.com. This page was printed from http://polisci.camden.rutgers.edu/2016/03/09/rutgers-camden-to-explore-intersection-of-tech-politics/ at 4:56 PM Sunday, April 21, 2019.